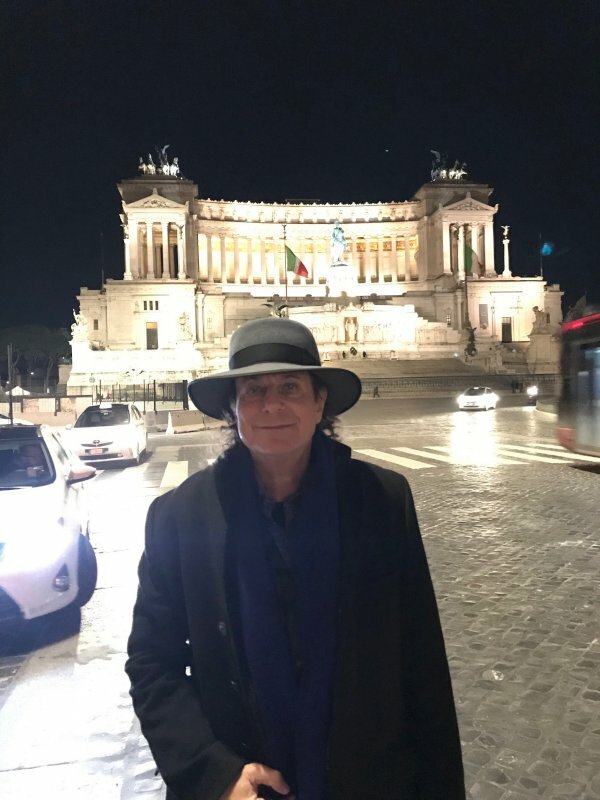 A world class guitar hero, a Grammy-nominated songwriter and composer, an international recording artist with over 30 acclaimed solo albums to date, and a soundtrack composer for film and television, GARY LUCAS is on the move in 2019. He has recorded over 30 acclaimed albums in a variety of genres—jazz, rock, classical, folk, blues and world music—and has performed in over 40 countries to date. He has received many honors and awards—including being invited to perform solo before the General Assembly of the UN on January 27th 2017 to commemorate International Holocaust Remembrance Day. He was also recently profiled on National Public Radio (NPR). Dubbed "The Thinking Man's Guitar Hero" by The New Yorker, "The world's most popular avant-rock guitarist" by The Independent (UK), "One of the 100 Greatest Living Guitarists" (Classic Rock), "Legendary Leftfield guitarist" by The Guardian (UK), "Guitarist of 1000 Ideas" by The New York Times, "a true axe God" by Melody Maker, and "One of the five best guitarists in the world" by the national Czech newspaper Lidove Noviny; the British world music magazine fRoots recently described Gary Lucas as "without question, the most innovative and challenging guitarist playing today." 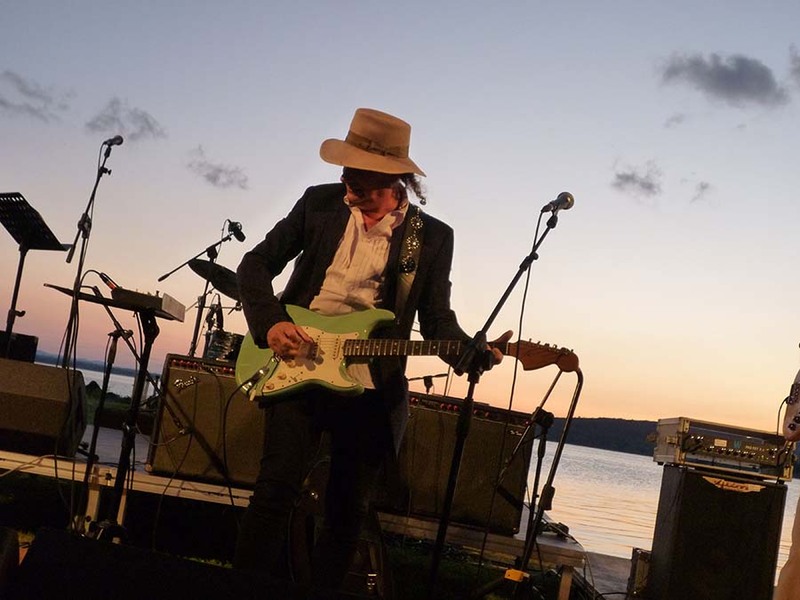 Rolling Stone's David Fricke wrote: "Gary Lucas is one of the best and most original guitarists in America...a modern guitar miracle." Best-selling author/producer Dan Levitin ("This Is Your Brain On Music") recently cited Gary as "the greatest living electric guitarist". 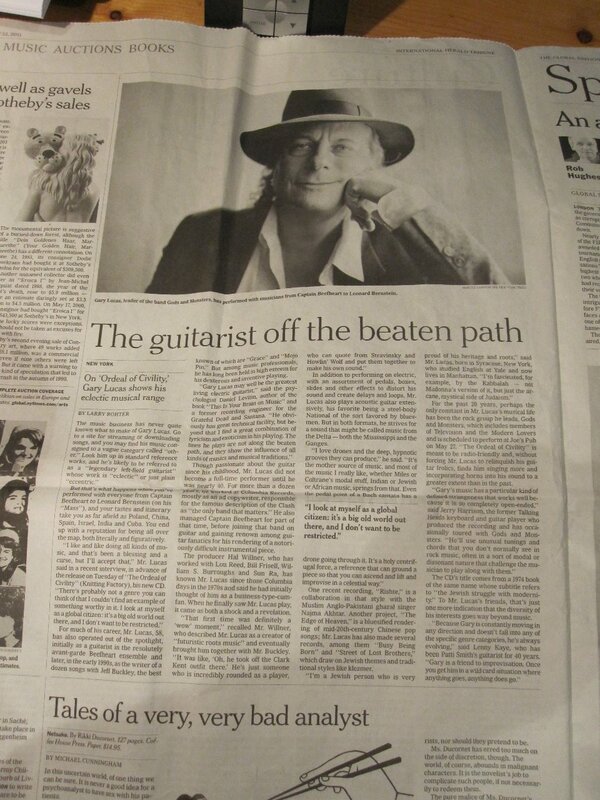 Gary was also dubbed "one of the world's greatest guitar players" by HITS Magazine. 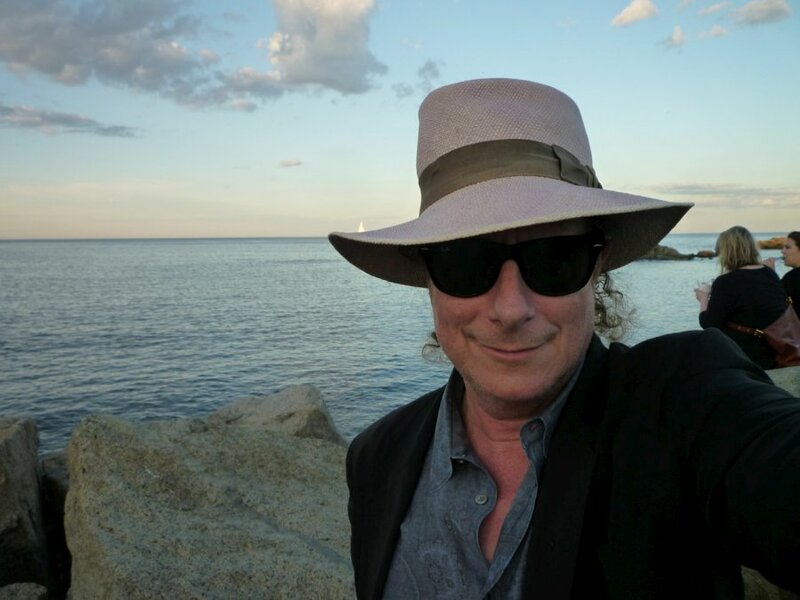 Pete Frame, music journalist, founder/editor of legendary UK music magazine ZigZag, and author/creator of 5 volumes of "Rock Family Trees" said of Gary, "Can there be another musician as adventurous, ingenious, accomplished, diverse, intrepid, hard-working and well-travelled as Gary Lucas?" "Can there be another musician as adventurous, ingenious, accomplished, diverse, intrepid, hard-working and well-travelled as Gary Lucas?" —Pete Frame, music journalist, founder/editor of legendary UK music magazine ZigZag, and author/creator of 5 volumes of "Rock Family Trees"
2018 was a very busy year for Gary. He returned to NYC right before Christmas from a week in the studio in Rome working on a new album project with Italian singer Davide Combusti (The Niro) and producer Francesco Arpino. Other highlights included opening famed director Emir Kusturica's long-running Kustendorf Film and Music Festival in Serbia with two live film scores, including the formerly lost Russian fantasy short "Bound By Film" starring Vladimir Mayakovsky and Rene Clair's surrealistic "Entr'acte"; and jamming with Emir Kusturica's Balkan gypsy ensemble The No Smoking Orchestra. 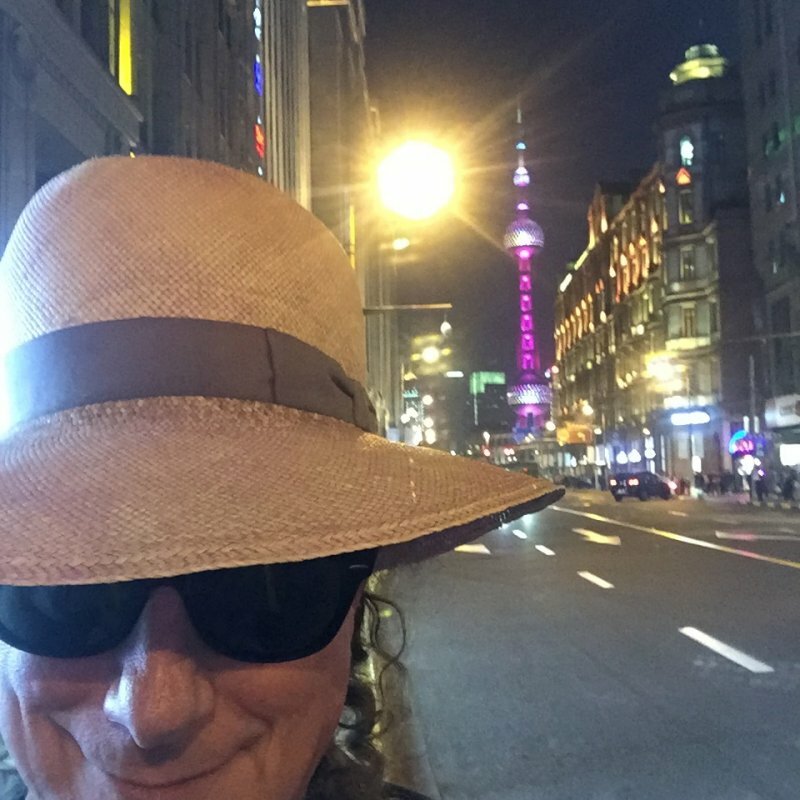 Gary returned again to Serbia in July to perform at Kusturica's Bolshoi Classical Music Festival with a third live film score for the famed Russian silent comedy "Chess Fever". Also in 2018, Gary's long-standing 30's Chinese music project THE EDGE OF HEAVEN was reinvigorated in a new trio format featuring Feifei Yang on vocals and erhu, and multi-instrumentalist Jason Candler. They made their live debut on Chinese New Year in February 2016 at the Laurie Beechman Theatre in NYC, and clips of the show were broadcast on mainland China's CGTN. The trio are currently wrapping their upcoming album, which features Mandarin versions of classics by Bob Dylan, Leonard Cohen, Jeff Buckley and Gary Lucas and other Western singer/songwriting greats, for Knitting Factory Records for a spring 2019 release. In Feb. 2018 Gary sold-out la Cinematheque francaise in Paris performing the European premiere of his live solo score for Tod Browning's 1925 silent thriller "The Unholy Three", with over 425 fans packing the Henri Langlois Theatre. Later that week in Paris he headlined the Sunset Jazz Club with special guests including keyboardist Jean-Philippe Rykiel for two sold-out shows. 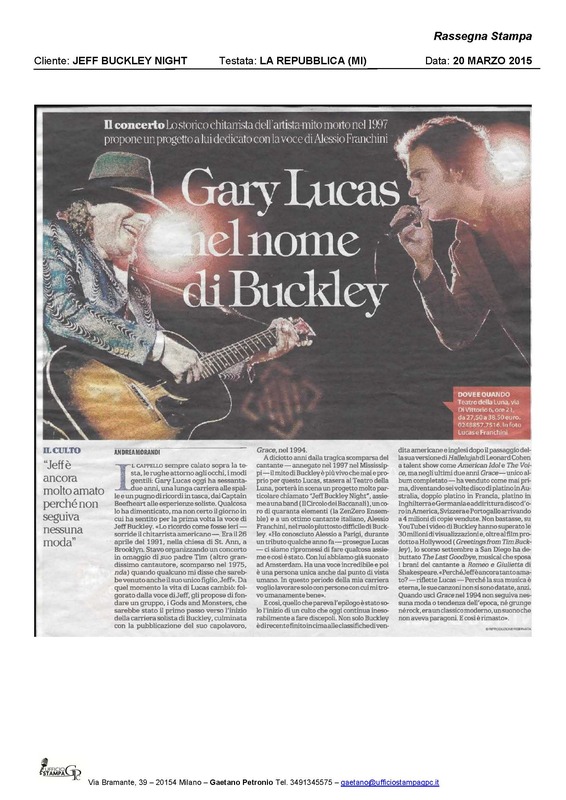 In April Gary performed 6 solo shows in Italy with various guest vocalists, which included a Jeff Buckley Tribute in Milano and a special appearance at the Museo del Rock in Calabria. This was followed by a dozen shows in the UK of Gary's new solo multimedia project "From Beefheart to Buckley and Beyond" which includes stories from his nearly 40-year career in music, rare live clips, and a diverse selection from Gary's 30-plus album catalog. Gary played in London, Liverpool, Bristol, Newcastle and other cities and received standing ovations throughout, as well as selling-out several shows. Both these tours generated extensive media coverage, including a two page spread in Italian national newspaper La Repubblica and a feature in the UK's Total Guitar Magazine. In October Gary Lucas sold-out NYC's premier art-house cinema The Metrograph with his live score accompanying the legendary 1930 Spanish "Dracula". This was the first entry in an ongoing retrospective of Lucas' live film scores at The Metrograph, curated by Jacob Perlin and Robert Melvin Rubin. He also sat in with the great psychedelic band The Slambovian Circus of Dreams for several shows in the Hudson Valley, including a gala Halloween event at the Tarrytown Music Hall, and gave a Masterclass at the New School for Jazz and Contemporary Music in Manhattan. 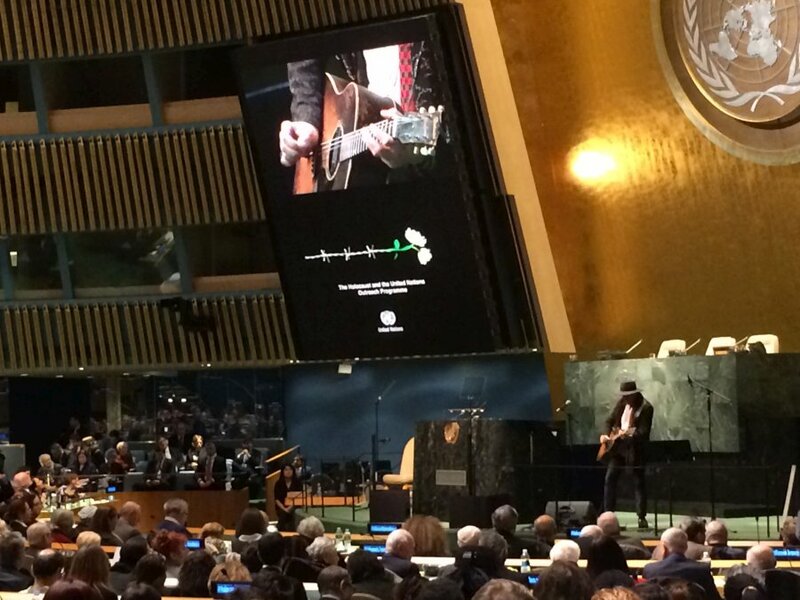 Highlights of 2017 included Gary's solo appearance before the General Assembly of the UN on Jan. 27th for Holocaust Remembrance Day, and the premiere of his new live solo guitar score for Orson Welles' 1938 silent surrealist classic "Too Much Johnson" that same evening. Gary's live scoring for films was highlighted in a National Public Radio profile broadcast in February. Also in February Gary produced a new album in Oxford England for UK singer/songwriter Ed Laurie, whose previous work received much airplay on NPR. A solo tour of Europe in June took Gary to the Czech Republic, where he acted in the forthcoming film "The Supervision of the Interpretation of Dreams" by Czech director Pavel Gobl, and performed solo in the Varnsdorf State Theater on the Czech German border—followed by two nights paying tribute to Jeff Buckley in the Recoletos Jazz Club in Madrid with a number of talented Spanish vocalists including Mercedes Ferrer and Miryam Latrece. Gary next performed in Porto Portugal for two nights solo acoustic at Soliloquios followed by a week performing in Copenhagen and Vanlose Denmark, including a Morgensang appearance at the Danish National Library, and work on a Captain Beefheart tribute EP with Danish musicians for the 50th anniversary of the release of Beefheart's "Safe as Milk" album. He also played his first ever show in Pori Finland to celebrate the 150th show of the underground club Validi Karkia. 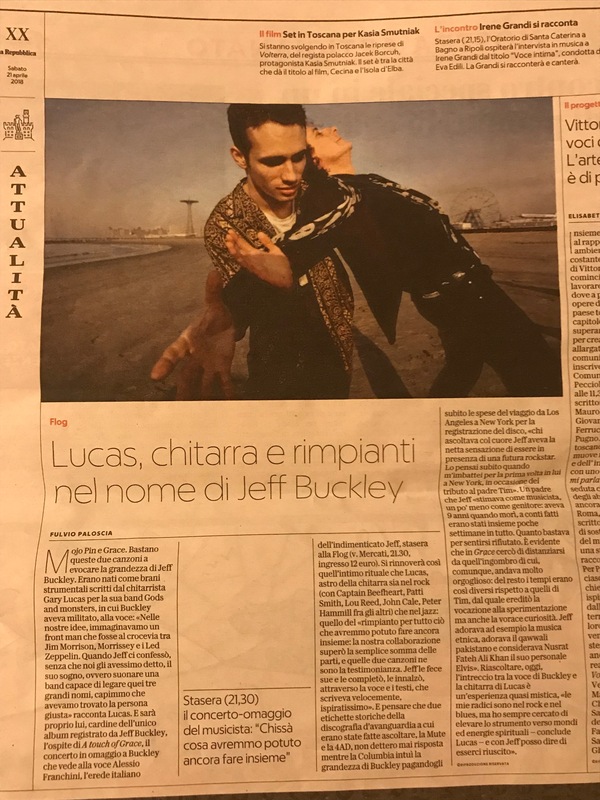 In September Lucas journeyed to London England, where he recorded an interview about working with Jeff Buckley at Eastcote Studios, and afterwards headlined a sold-out tribute to Jeff in London Sept. 9th with his special guest Italian singer Mari Conti. Later that fall saw the release of three Gary Lucas-related albums: "Gary and Toni Go Nutz!" (Rare Lumiere and OkayMusic), a duo album recorded in Budapest with songs and free improvisation from Gary's Pearly Clouds saxophonist partner Toni Dezso with a wonderful animated feature by Rokus Kalapis to go with it; a reissue of Gary's celebrated "Rishte" album with Najma Akhtar on the OkayMusic digital label, which rose to #4 on the World Music Charts Europe; and the OkayMusic digital release of "I Have a Cat", a collaboration with Dutch DJ/producer/and Beefheart-Zappa Go-to-Guy Co de Kloet, which set the last extant interview with Don Van Vliet (Captain Beefheart) to music composed by Gary. In September Gary and his latest collaborator the fantastic Chinese vocalist and erhu virtuoso Feifei Yang performed with the 70-piece Asian Cultural Orchestra at Lincoln Center's Alice Tully Hall for the annual Moon Festival, which featured their duet on a Teresa Teng Chinese pop standard "The Moon Represents My Heart", with Gary singing in Mandarin. Meanwhile Gary stayed hard at work in the recording studio with the fantastic Chinese vocalist Feifei Yang and his long time saxophonist Jason Candler on a followup to Gary's celebrated album of 30's Chinese pop "The Edge of Heaven", and the trio recorded a new version of Gary and Jeff Buckley's anthem "Grace" in Mandarin, which they debuted at the annual NYC Jeff Buckley Tribute at Arlene's Grocery Nov. 12th. Feifei and Gary recently were judges on CCTV's new "Super Baby" talent competition for gifted Chinese children, and a documentary on their collaboration is scheduled to air on SinoVision. Halloween saw Gary revisit his acclaimed live score accompanying silent chiller "The Golem" at the Alamo Drafthouse Theaters in Brooklyn and in Austin Texas. A major highlight of the year was a special teaser gig Sept. 20th at Joe's Pub at the Public Theater with Gary and Nona Hendryx's new Captain Beefheart tribute ensemble The World of Captain Beefheart, which sold-out the club and generated enough heat to cause fire alarm bells to go off, forcing an evacuation of the audience and the band from the club temporarily! Their new album The World of Captain Beefheart—Gary's 4th album to be released in 2017—dropped Nov. 17th on Knitting Factory Records, and has received superlative reviews everywhere. 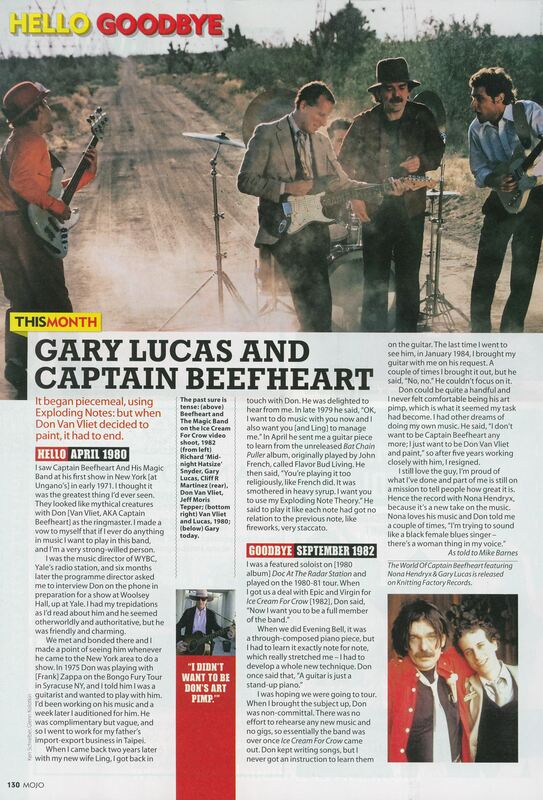 Gary also received a special full-page Hello-Goodbye feature in MOJO Magazine about his work with Captain Beefheart which coincided with an appearance at a special Captain Beefheart Weekend event in Liverpool England, where Gary appeared on a panel at the Bluecoat Gallery and performed solo at the District nightclub. 2016 saw the release of 3 acclaimed Gary Lucas albums: "Gary Lucas' FLEISCHEREI: Music from Max Fleischer Cartoons" (Cuneiform)—a mixture of Tin Pan Alley, swing and Harlem jungle jazz drawn from the soundtracks of Max Fleischer's early 30's Betty Boop and Popeye Cartoons and featuring Joe Fiedler, Jeff Lederer, Rob Garacia, Michael Bates, and Sarah Stiles. 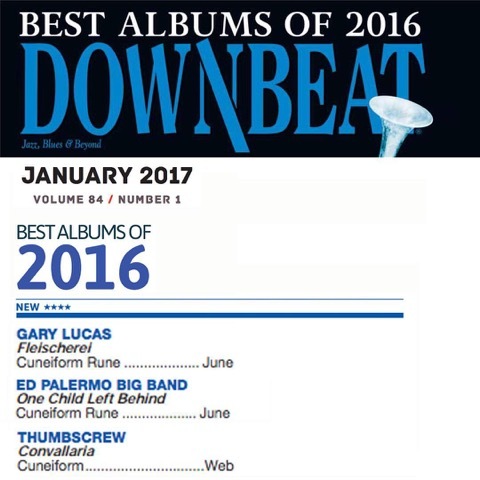 The album was just picked as "One of the Best Albums of 2016" by DownBeat Magazine, and cited as "One of the Best Indie Albums of 2016" by Goldmine Magazine. 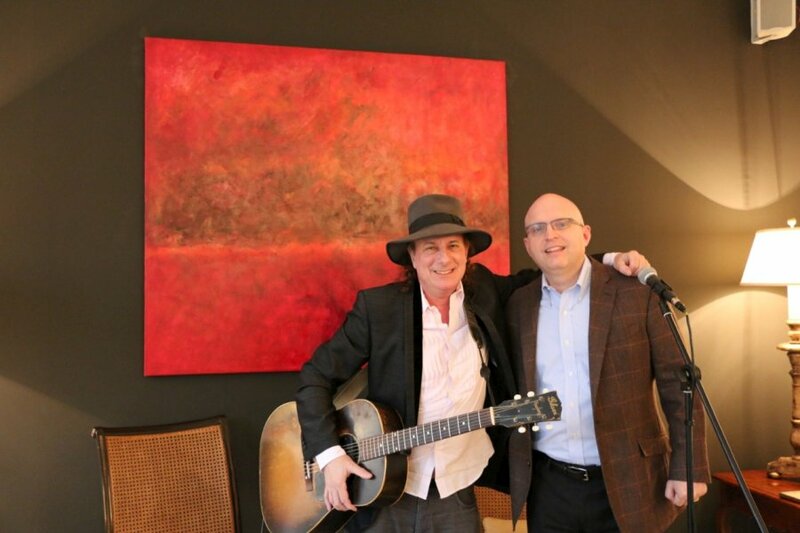 In 2016 Gary Lucas' FLEISCHEREI performed at the Museum of the Moving Image in Queens; the Washington DC Jewish Film Festival at the AFI Silver Theater MD; the Porgy and Bess Jazz Club in Wien; the Boston Jewish Film Festival; at the City Winery NYC and City Winery Chicago seders; and at the City Winery NYC klezmer brunch. 2016 also saw the release of Gary Lucas' PEARLY CLOUDS album (Trapeze), based on traditional Hungarian folk music, featuring saxophonist Toni Dezso and vocalist Eniko Szabo. The album received spectacular reviews including "A record of spiritual longing and timeless musical transcendence" (fROOTS), and "Unusual and compelling listening" (BBC 3). 2016 began with the release of Gary Lucas and Jann Klose's acoustic folk pop album STEREOPTICON (Cosmic Trigger) which received "4 Stars" in MOJO. No Depression wrote: "The harmonies, vocal interactions, and clear precise acoustic guitar provide the listener with enchanting listening." 2015 was also one of Lucas' best years ever—finishing with a bang in Mexico City Dec. 8th where Lucas performed for the second year in a row by invitation of the U.S. Embassy at the Biblioteca Benjamin Franklin, as part of their Music Outreach Program for disadvantaged children. Earlier this year, Gary performed a similar concert for disadvantaged children in Sotogrande Spain. 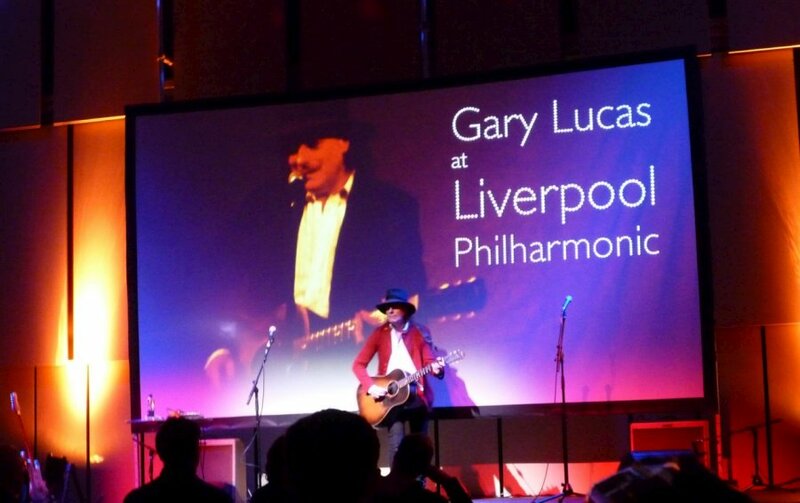 Gary's appearance in Mexico City was directly on the heels of his 4 nights as Artist in Residence at Royal Liverpool Philharmonic Hall in Liverpool England, where Lucas performed 6 different solo projects, including his new Jeff Buckley Symposium and his live solo guitar score accompanying the 1931 horror classic "Frankenstein". Gary made three separate solo tours of Italy in 2015 through the auspices of Luca Zannotti and Musiche Metropolitane, where his profile continues to rise. These included a marathon 2 1/2 hour acoustic solo concert in Venice in December, an appearance at legendary Italian singer/songwriter Vinicio Caposella's "Moon in June Festival" in Umbria on his birthday June 20th, and multiple performances in Bologna, Milan, Asti, Livorno, Milano and other cities with his friend Italian singer/songwriter Alessio Franchini—including Alessio's "Touch of Grace" Tribute to Jeff Buckley at the Teatro della Luna in Milano in March. There was much attendant Italian media exposure, including La Stampa TV, Italian national newspaper La Republicca, and a televised performance with many noted Italian artists on the famous Italian music program "Red Ronnie Live at the Roxy Bar". 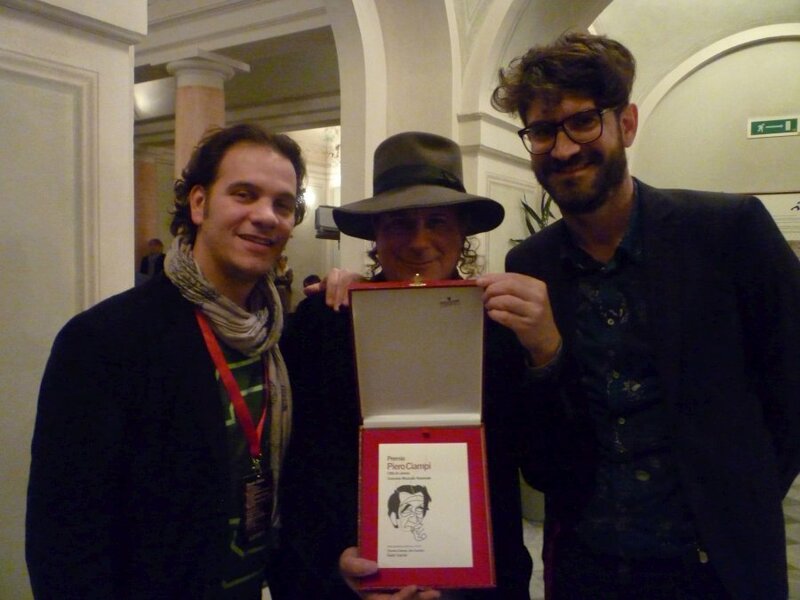 Lucas also received two major awards in Italy this year—a Lifetime Achievement Award presented to him in December at the Premio Ciampi Festival in Tuscany, named for legendary Italian songwriter Piero Ciampi. 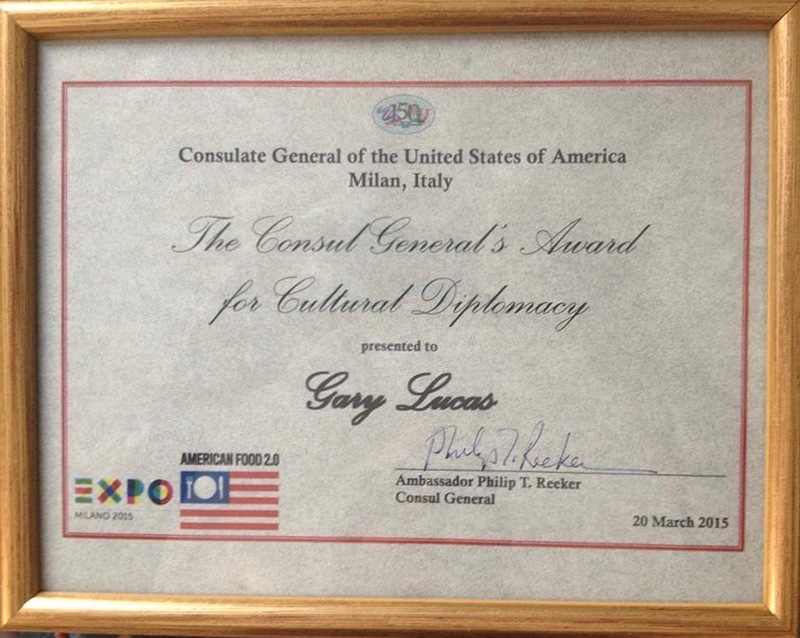 In March, Gary received the U.S. Consul General's Award for Cultural Diplomacy at a private party in his honor held in Milan at the residence of U.S. Consul General Philip T. Reeker, with invited guests including the editor of Italian Rolling Stone. Other 2015 highlights included Gary leading his longtime supergroup Gods and Monsters as Music Director of "A State of Grace", a multi-artist tribute to both Tim and Jeff Buckley Down Under, which saw Gary perform with singer/songwriter Martha Wainwright, Steve Kilbey (The Church), and other vocalists before 6000 people over 6 nights in large theaters and arts centers in Sydney, Melbourne, Canberra and at the Brisbane Festival. 2014 began with a bang with the successful world premiere Jan. 8th of Lucas's new live score for Shanghai silent film classic "The Goddess" at Fundacion Botin in Santander Spain, followed by a performance there with Gary's Spanish "Dracula" project Jan. 10th. 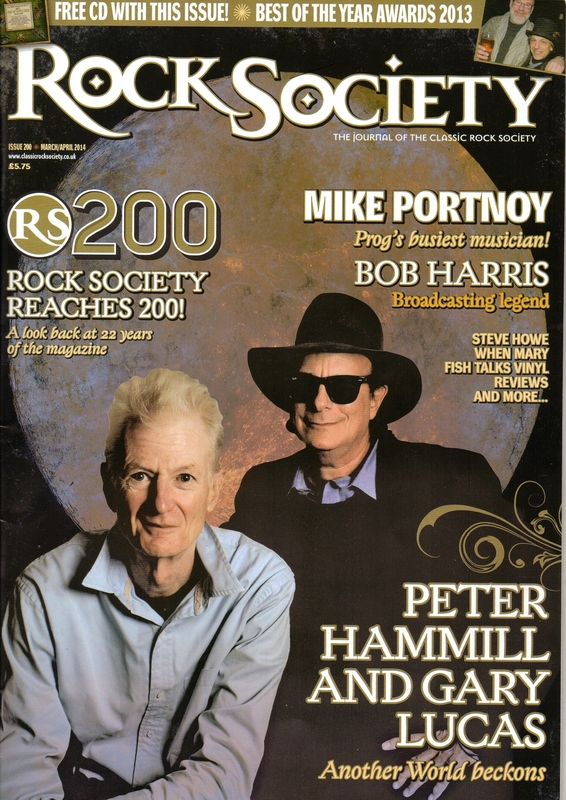 Gary's new duo collaboration with UK vocalist Peter Hammill (Van Der Graaf Generator) entitled "Otherworld" was released Feb. 3rd on Esoteric/Cherry Red Records (see the press release here), followed by their live debut Fri. Feb. 21st at London's Union Chapel. 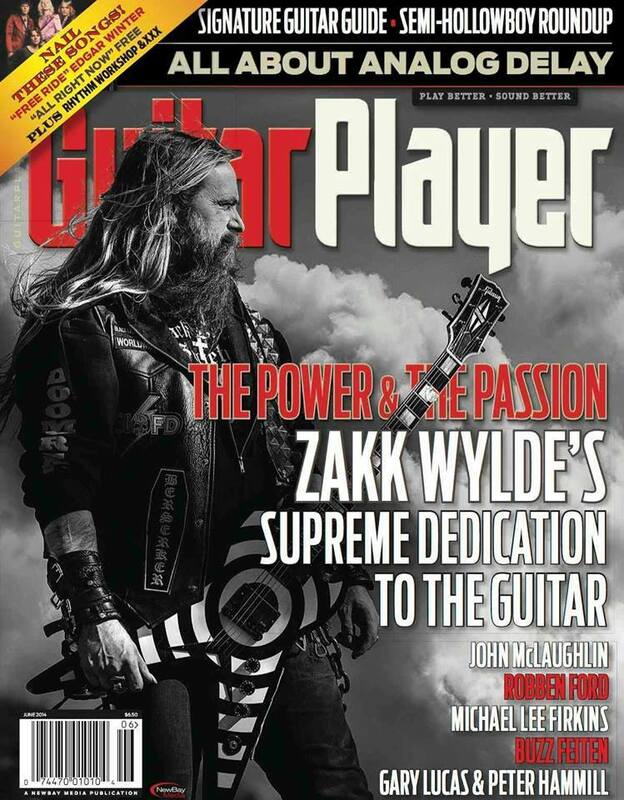 The album went on to receive 4 and 5 star reviews internationally, and landed the pair on the cover of both Guitar Player Magazine and Rock Society Magazine. 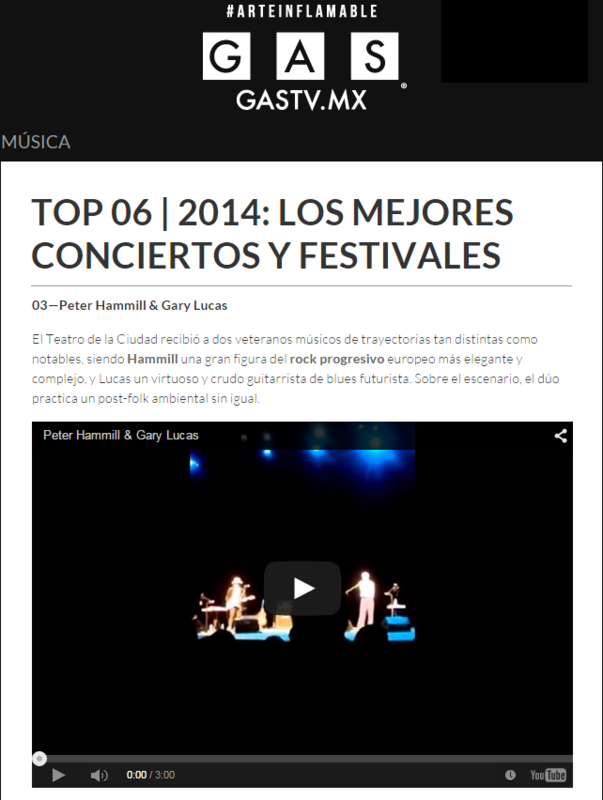 The duo headlined the Gouveia Art Rock Festival in Portugal in May and packed the Teatro de la Ciudad Esperanza Iris in Mexico City in November, which was selected one of the year's best concerts by Gastv.mx, and was taped for national public television of Mexico. While there, Gary was invited to play a free solo concert for disadvantaged children at the Benjamin Franklin Library by US Ambassador to Mexico Earl Anthony Wayne, who wrote Gary a personal letter of appreciation for taking part in the Ambassador's Music Outreach program. In February, Gary recorded a new album in Budapest with Hungarian jazz-rock ensemble DeBORT, led by saxophonist Toni Deszo, and was interviewed by Rockbook Hungary. Later that month Gary journeyed to Columbus Ohio to perform his live score for Jose Mojica Marins' 1967 Brazilian cult classic "This Night I Will Possess Your Corpse", one of his many live music and film projects. In addition to "The Goddess", which received much praise from Film Society of Lincoln Center Director Emeritus Richard Pena, Lucas premiered two new live film scores, accompanying the legendary 1931 James Whale-directed "Frankenstein" on Halloween at the United Palace Theater in Harlem NY with his original music, and premiering his new score for Dreyer's classic 1931 "Vampyr" the following day Nov. 1st (Day of the Dead) at the AFI Silver Theatre in Silver Spring Maryland, where he also performed his score for Spanish "Dracula". AFI programming director Todd Hitchcock especially praised Gary's new "Vampyr" score. In April Gary presented a well-received masterclass at Rutgers University School of Music in New Jersey for Prof. Chris Opperman's class. Early May saw the release of Gary and Colleen 'Cosmo' Murphy's Wild Rumpus album "Musical Blaze-Up" as a double vinyl disc (which rapidly sold-out its pressing), and as a digital download. The pair released several 12 inch vinyl singles over the previous few years to wide acclaim, and made live appearances in NYC, London, Brussels, Romania, and Hyderabad India. Their release was greeted by raves in the press, including a feature in the UK's prestigious DJ Magazine. In June Gary celebrated the 25th anniversary of his longtime NYC-based avant-supergroup Gods and Monsters with a special concert at Le Poisson Rouge in Manhattan, which featured guest vocalists Jann Klose (who he has been collaborating on songs with), Felice Rosser, Gisburg, and Dusty Wright, and touched on music spanning Gary's entire career. In July Gary sat in as a special guest with Mongolian/Buryat vocalist/world music star Namgar at Barbes in Brooklyn, the start of a promising new collaboration. This August he debuted his new "Fleischerei" project—a tribute to the music of Max Fleischer's Betty Boop and Popeye cartoons featuring NYC music theater star Sarah Stiles ("Into the Woods", "Avenue Q") and trombonist/arranger Joe Fiedler ("Sesame Street")—at a private party at The Bridge Golf Club in Bridgehampton LI Gary's swinging, jazzy ensemble made their public debut in November at BAM Cafe, and they are working on their debut album. Gary also has been working on a new acoustic folk-pop duo project with singer Jann Klose and lyricist Dan Beck entitled Lucas Klose. Their song "Mary Magdalene", marking the second anniversary of Hurricane Sandy's devastating impact on the Eastern US seaboard, was featured on CBS News and 1010 WINS News Radio, and they are currently in the studio recording new tracks for their debut album. 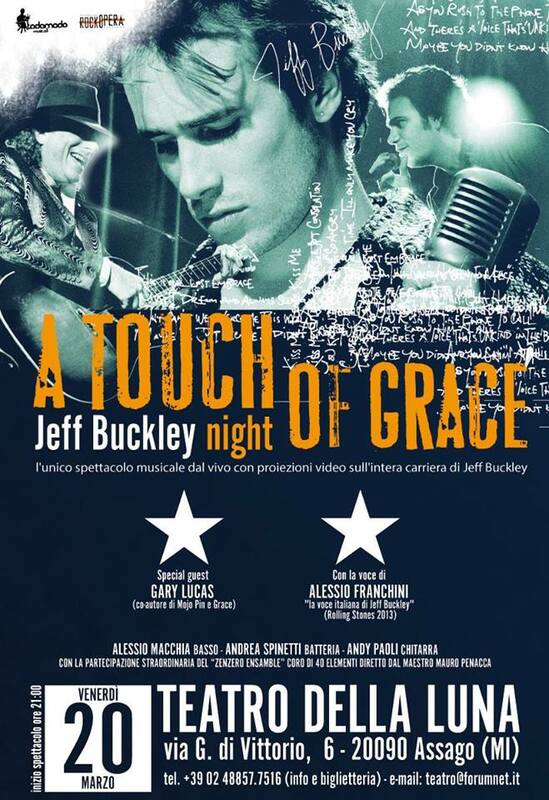 In addition, Gary recorded a new song the previous fall with longtime associate Italian vocalist Alessio Franchini in Livorno Italy, and will be performing live in Alessio's tribute to Jeff Buckley in Milan in March 2015, "A Touch of Grace". Gary also performed two Classic Album Sundays Tributes to the "Grace" album in Oslo and in Brooklyn, marking the 20th anniversary of the album's release. And Gary's book "Touched By Grace: My Time with Jeff Buckley" (Jawbone) was named One of the Best Books of 2014 by HITS magazine editor Roy Trakin in his year-end wrap-up. 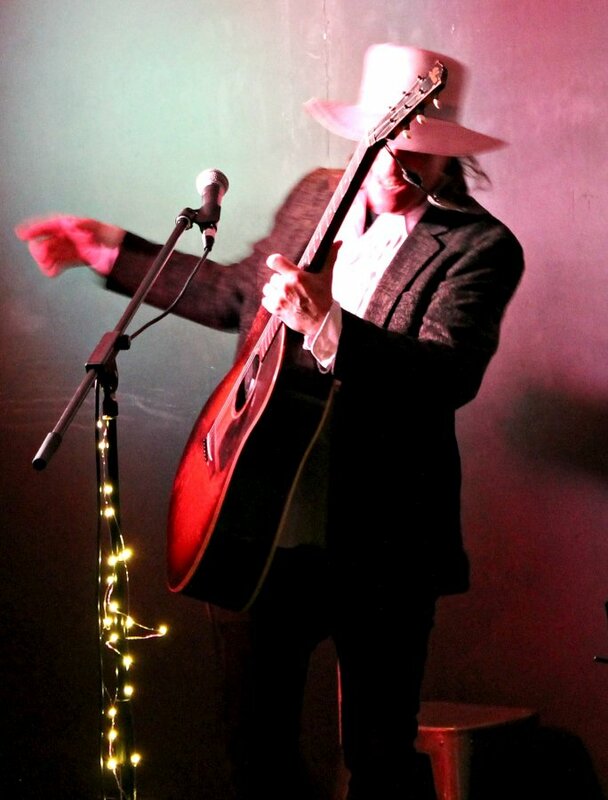 2013 was a year of many triumphs for Gary Lucas. His latest album "Cinefantastique" (Northern Spy)—a collection of some of Gary's own film music plus his solo arrangements of classic themes from Fellini, Hitchcock, Werner Herzog, Bela Tarr and other greats—was named one of the Top 10 Roots Albums of 2013 by the Philadelphia Citypaper, and was hailed as Guitar Album of the Year by the Gapplegate Guitar and Bass Blog. During 2013, Lucas sold out six shows, three of them with his long-running Spanish "Dracula"—including high profile appearances at the Jerusalem Film Festival 7/16/13, the Silent Movie Theatre in Hollywood 7/30/13, and at the Cineteca Nacional in Mexico City 11/30/13. Additionally, Gary performed with the film in uptown NYC at the vintage 30's landmark United Palace Theatre in Harlem 11/1/13. On Oct. 5th 2013 he sold-out the expanded concert version of his celebrated 30's Chinese pop concert "The Edge of Heaven"—featuring Shanghai divas Sally Kwok and Mo Hai Jing and Gary's longtime band Gods and Monsters—at BAM's Fisher Space Oct. 5th as part of a two night engagement, which featured sumptuous visual projections of scenes of old Shanghai. He also sold out a trio version of this concert with his two female singers on 7/19/13 at the 1930 Club in Shanghai itself. He also sold out a special tribute to Don Van Vliet at the Paradiso in Amsterdam on Feb. 17th entitled "The World of Captain Beefheart", produced by Co de Kloet and featuring Gary with The Metrtopole Orchestra (an unprecedented second appearance with them in a year), vocalists Nona Hendryx, Jolene Grunberg, Tom Trapp and others. Other highlights of 2013 include Lucas receiving a Lifetime Achievement Award at the Barezzi Festival in Parma Italy, where he performed a marathon 3 hour set both solo and later as a Tribute to Jeff Buckley featuring well-known Italian singer/songwriter Vinicio Caposella and vocalist Alessio Franchini, who has worked extensively with Lucas over the years—including a Buckley Tribute show May 17th at Teatro Corso in Venice. In mid-October Gary performed solo as part of a production of Federico Garcia Lorca's play "La Casa de Bernarda Alba" at the Gaia Arts Center in Havana, his 7th appearance there. Gary played legendary Parisien bookstore Shakespeare and Company twice in 2013, with vocalists Jeanne Madic May 13th, and on Nov. 7th with vocalist Tim Watt, the latter an in-store appearance in support of his new book "Touched By Grace", which was published in English in 2013 by Jawbone Press to rave reviews, including 4 Stars in MOJO. In November he played Royal Festival Hall in London 11/14/13, and dates in Bristol, Aberdeen and Edinburgh in support of his new book. 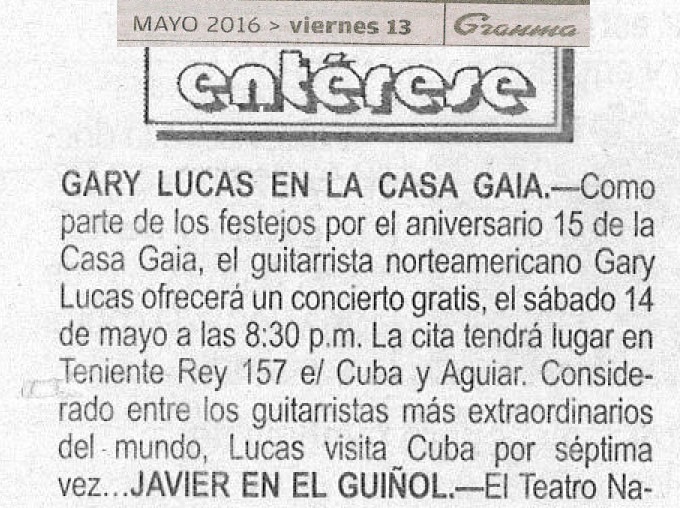 In May of 2013 Gary was profiled in a documentary "Gary Lucas in Havana" by Klaus Totzler on Austrian national television ORF and on 3SAT TV, on the heels of the European premiere of his live score accompanying Jose Mojica Marins' Brazilian horror classic "Esta Noite Encarnerei no teu Cadaver" at the Melkweg Amsterdam May 12th. Lucas also played a special concert in Brooklyn's Littlefield on June 11th with Austin ensemble Mother Falcon and rock goddess Amanda Palmer. He finished out 2013 performing in his ancestral home in Eastern Europe (Gary is of Bohemian descent) with several high profile shows in the Czech Republic—Spanish "Dracula" at Kino Aero Prague 12/18/13 and at Kino Siska Brno 12/19/13—and he debuted his new Ghosts of Prague ensemble with Richard Mader and vocalist Pat Fulgoni on Dec. 14th at Prague's floating club Jazz Dock. Gary finished the year out with a well-received solo show at the Budapest Jazz Club Dec. 21st, where he jammed with avant-garde ensemble deBORT's leader saxophonist Toni Deszo. In 2012 Gary was profiled in the New York Times, the Wall Street Journal, and the International Herald Tribune to coincide with the release of his supergroup Gods and Monsters' studio album "The Ordeal of Civility" (Knitting Factory), produced by Jerry Harrison which is receiving rave reviews—4 Stars in MOJO and named one of the Best of the Year in Rock's Backpages. He released a vinyl only album in the Czech Republic "Gary Lucas Plays Bohemian Classics" (Faust Records) featuring his solo acoustic arrangements of Dvorak and other Czech classical composers. The previous year he embarked on a European solo tour selling out Liverpool's Philharmonic Hall two nights in a row with his Captain Beefheart Symposium, performing his live score for Spanish "Dracula" at the annual music festival of Bilbao Spain, recording with Bryan Ferry in London, performing solo in Portugal where he was profiled on the cover of two national newspapers, and finishing in Paris where he was profiled in the French left paper Politis. That year Gary performed at the Grammy Museum in LA as part of their "Great Guitar" Series which further bolstered his credentials as "one of the best and most original guitarists in America" (Rolling Stone). Gary just wrapped recording the debut album of his psychedelic dance music project Wild Rumpus with his partner Colleen "Cosmo" Murphy, and their latest 12 inch vinyl single "Cloudhopping" sold-out its first pressing in one week. He recently premiered his new live solo guitar score for Luis Bunuel's "El Angel Exterminador" at the 33rd Havana Film Festival and rocked the 48th New York Film Festival with the US premiere of his Spanish "Dracula" project performing his original solo guitar score live to accompany a screening of the legendary 1931 film. 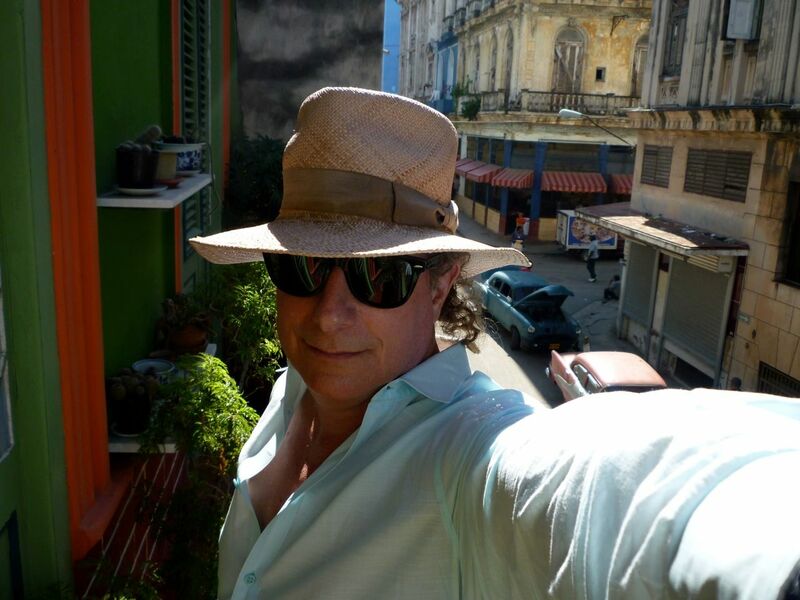 In the previous few years, Gary Lucas made successful performing debuts in China, Cuba, the Canary Islands, Colombia, Brazil, Costa Rica and Mexico alongside his usual non-stop touring in Europe and North America, and is coming to BAM's new Fisher Space in Brooklyn in Oct. 2013 for two nights with the expanded concert version of his celebrated album of 30's Chinese pop, "The Edge of Heaven". Featuring Gary, his band, and two female vocalists from Shanghai, the project received standing ovations in June 2011 at both the 64th Holland Festival in Amsterdam and the Nijmegen MusicMeeting. His recent album, "Rishte" (Harmonia Mundi), a blues/raga collaboration with Indian vocalist Najma Akhtar, made #4 on the World Music Charts Europe and the pair garnered a 5 star review in The Financial Times for their live show and an ovation at WOMAD Los Palmas. He released his first ever coloured vinyl single "Music for the Eden Project" on 5nakefork Records the previous year to acclaim which has been used as the soundtrack for UK visual artist Paul McGowan's installation at the Eden Project in Cornwall. 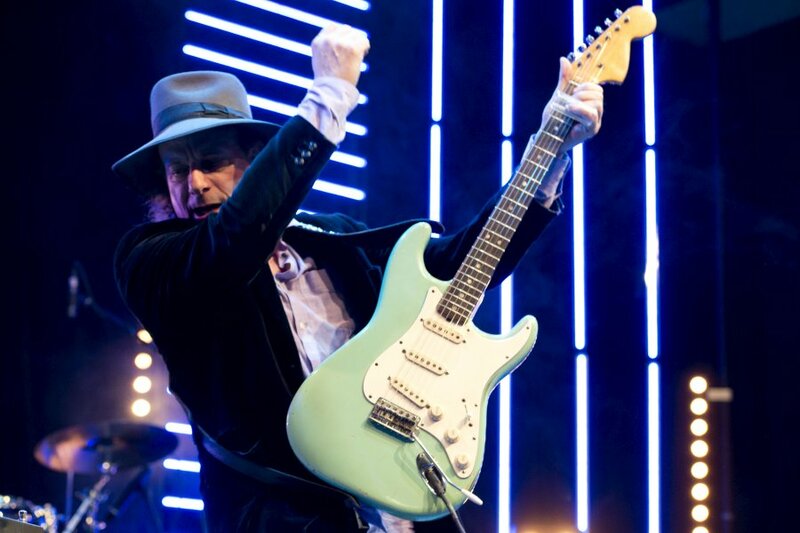 Gary Lucas tours the world relentlessly both solo and with several different ensembles, including his longtime band Gods and Monsters, whose ranks once included the late singer Jeff Buckley. Gary co-wrote two of Jeff Buckley's most famous hits, "Grace" and "Mojo Pin", which opened Jeff's double platinum Sony album "Grace", which MOJO magazine named the #1 Modern Classic Rock Album. Their early collaborations can also be heard on the Jeff Buckley and Gary Lucas album "Songs to No One", which charted internationally with worldwide sales approaching 100,000. Other notable Lucas albums include his recently reissued 2001 album "The Edge of Heaven", an album of Gary's lush arrangements of 30's Chinese pop songs, which made #1 on the World Music charts and received rave reviews around the world. To date he has released over 30 acclaimed albums in multiple genres, and performed in over 40 countries. 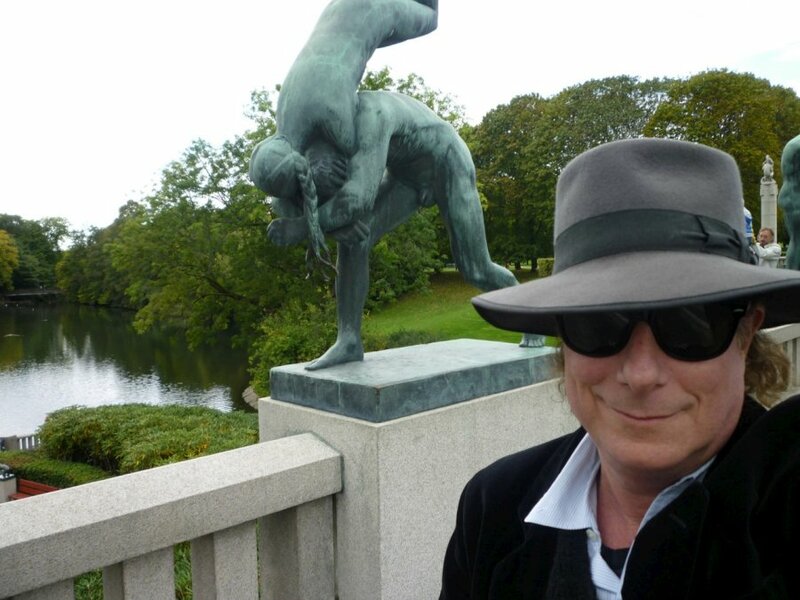 Gary Lucas makes his home in NYC.